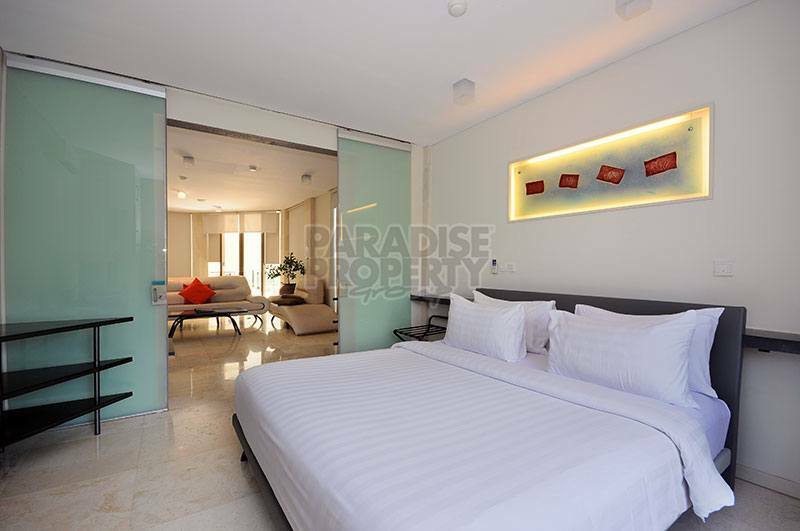 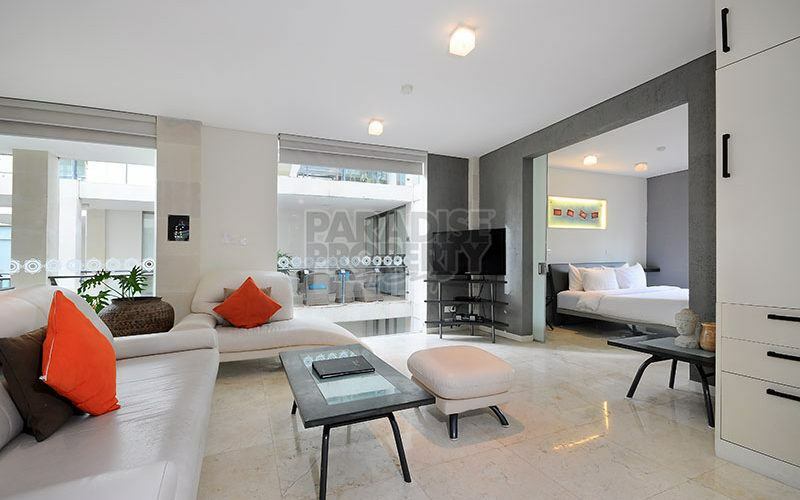 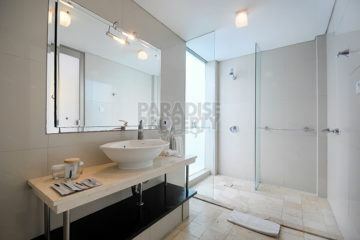 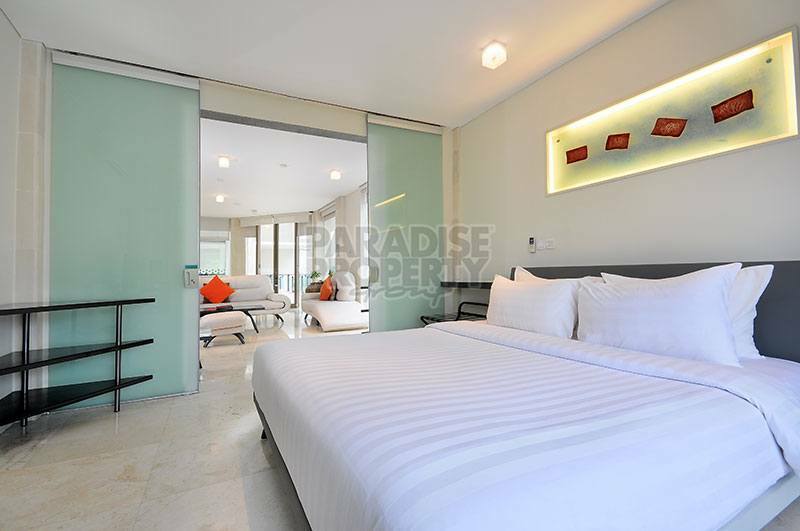 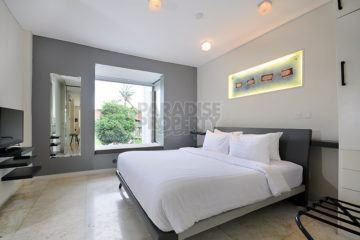 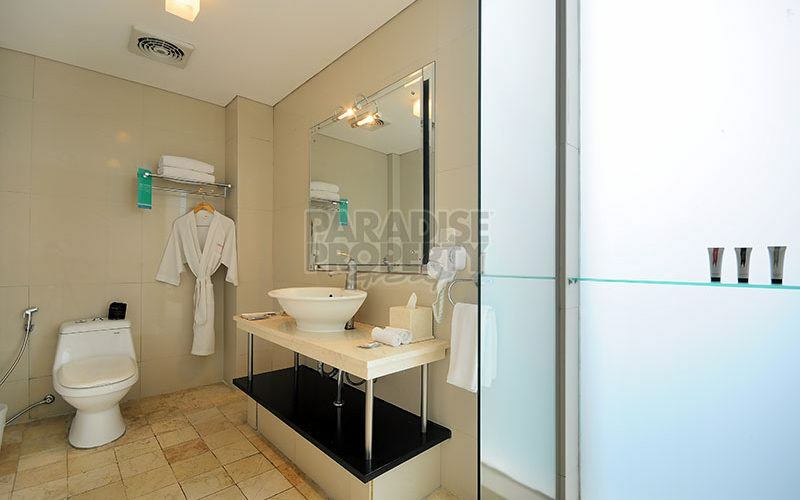 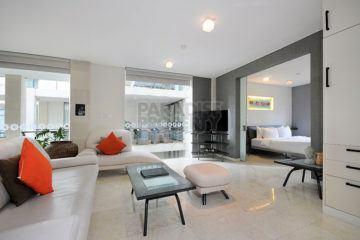 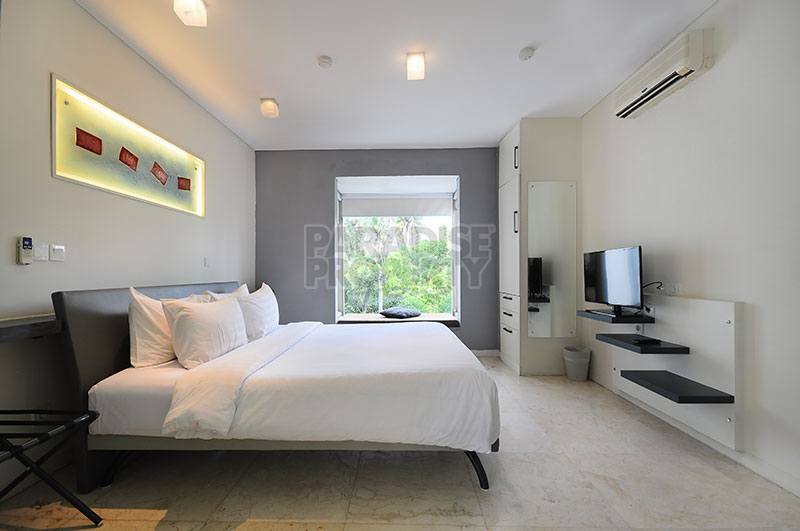 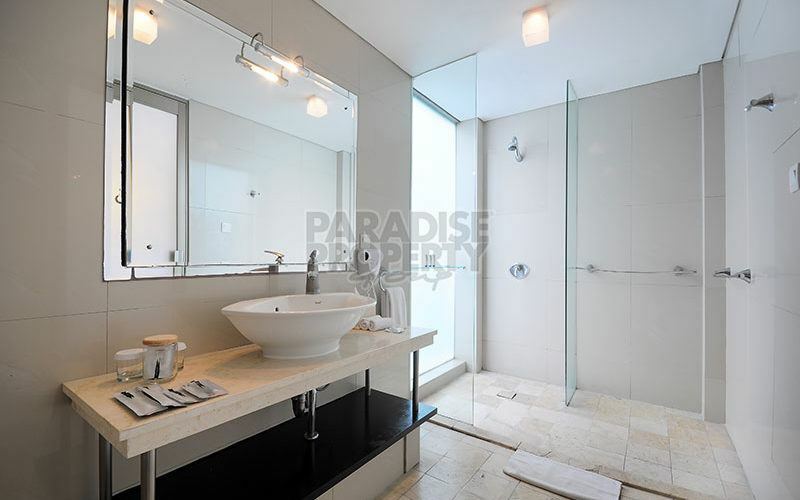 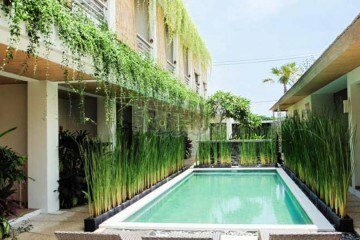 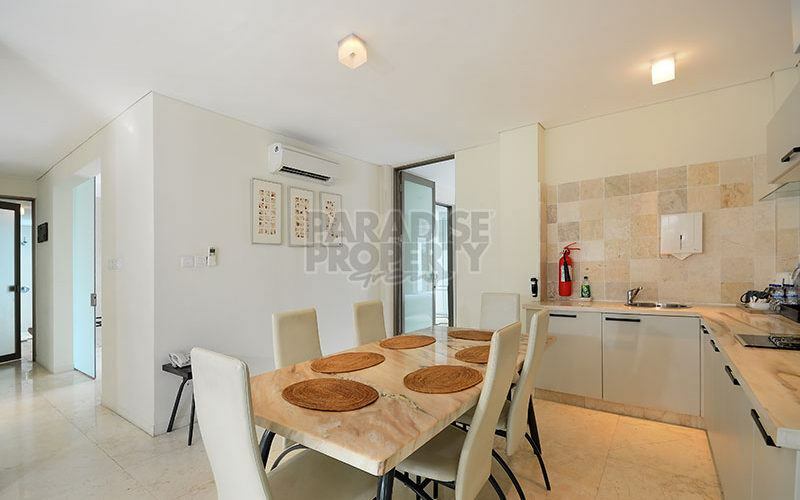 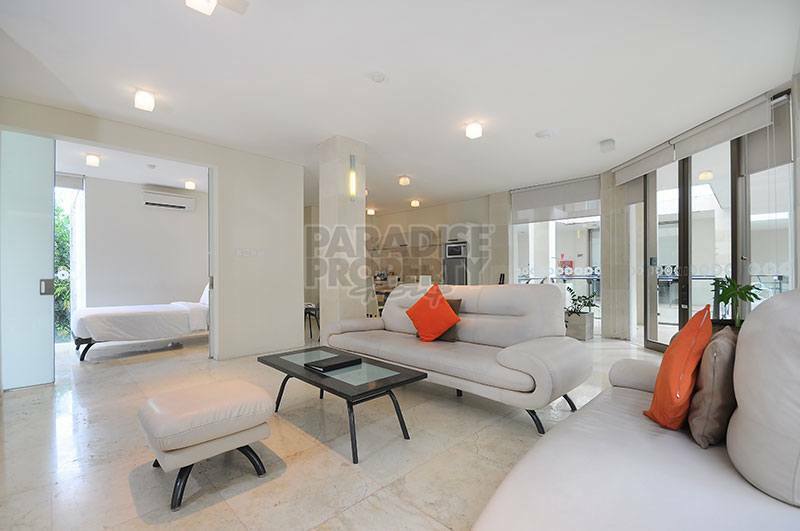 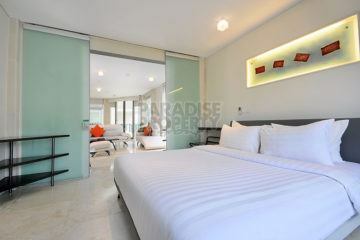 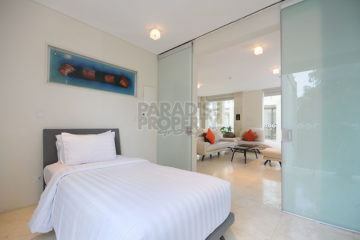 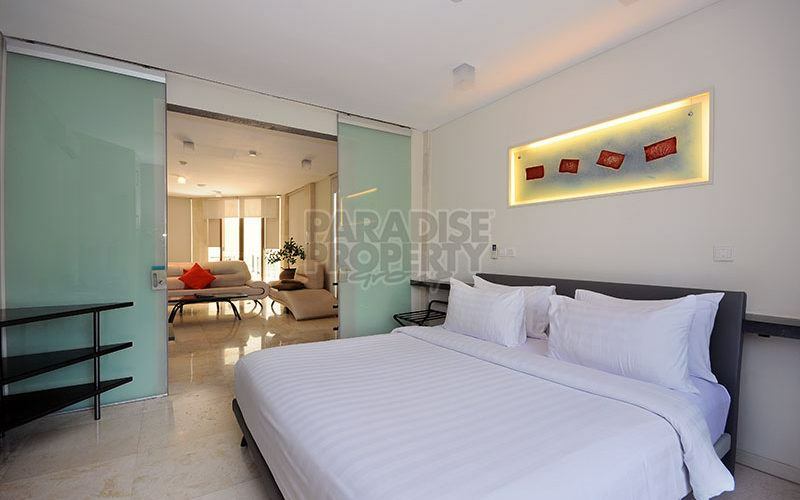 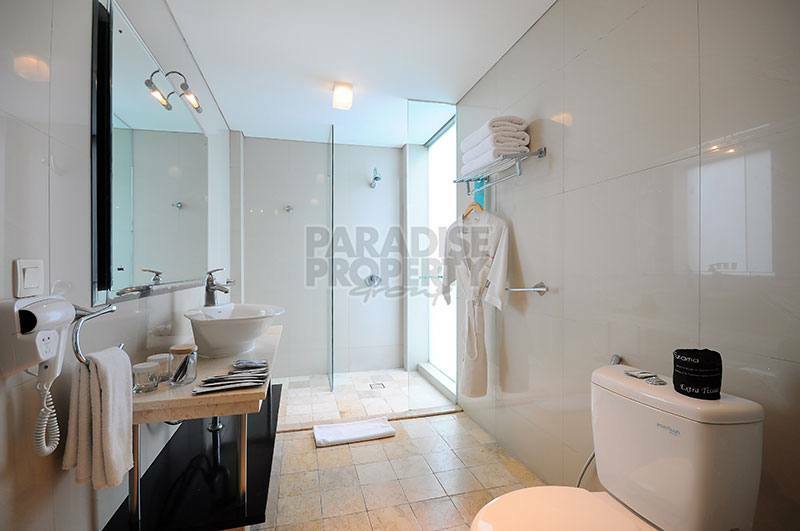 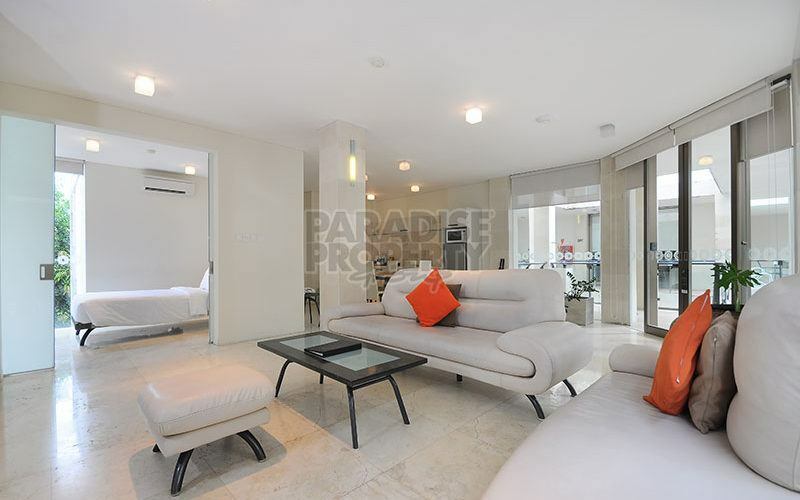 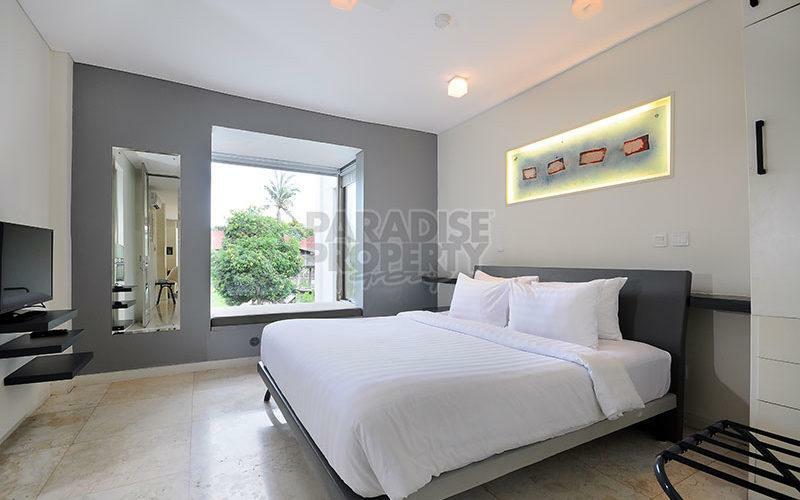 This fabulous 3 bedroom beachfront apartment is strategically located in the opulent & upscale lifestyle area of Legian, bordering stylish Seminyak & surrounded by fashionable retail stores, international dining venues, entertainment offerings & within a few steps to the beautiful Legian beach. 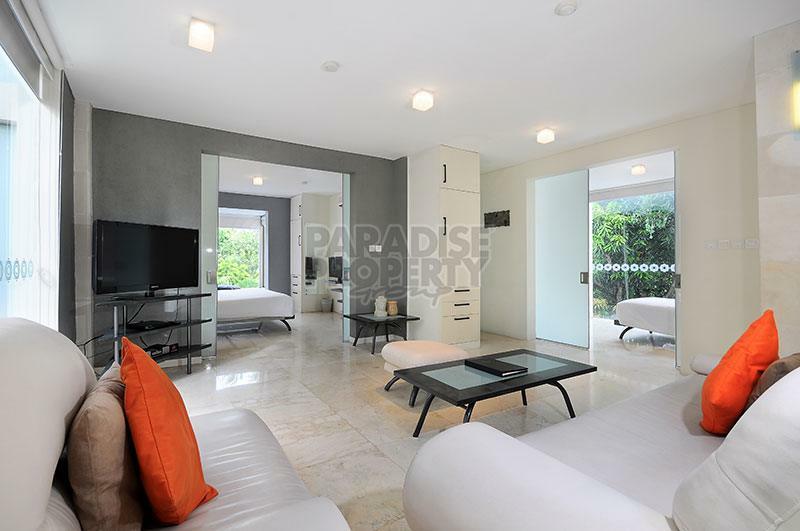 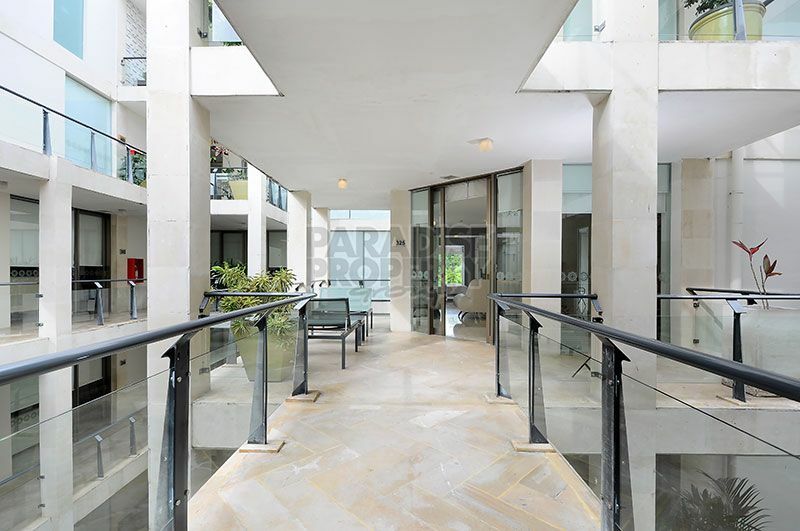 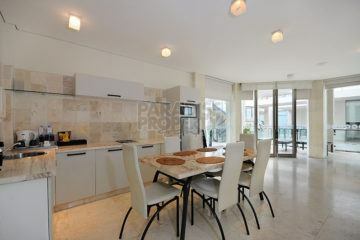 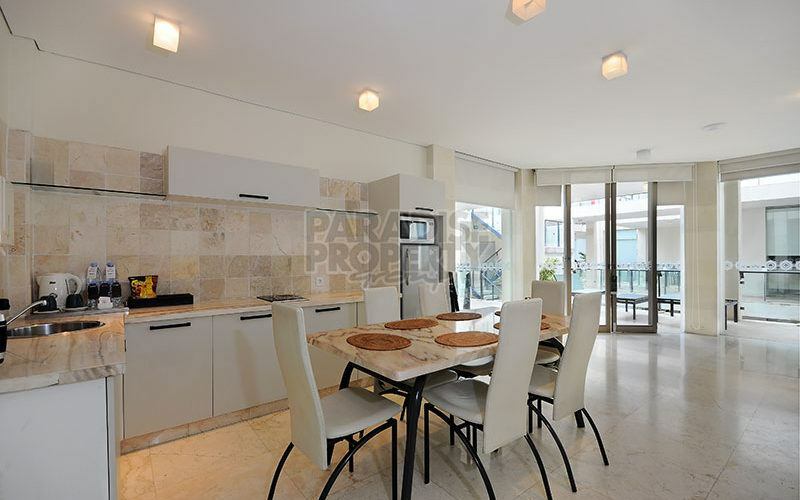 This 170m2 elegantly designed ground floor apartment is spaciously appointed & combines modern simplistic decor with contemporary elements & soft neutral furnishings. 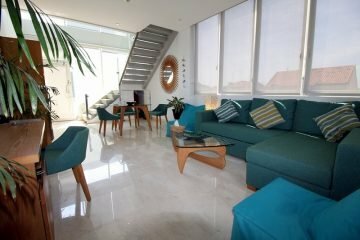 The lounge/living area offers space & comfort along with a fully equipped kitchenette which consists of a microwave, refrigerator, cook-top, electric kettle, kitchen sink & coffee/tea making facilities. The front terrace is well shaded & offers space & ample seating to relax with family & friends…the perfect spot to unwind & enjoy a late afternoon drink. 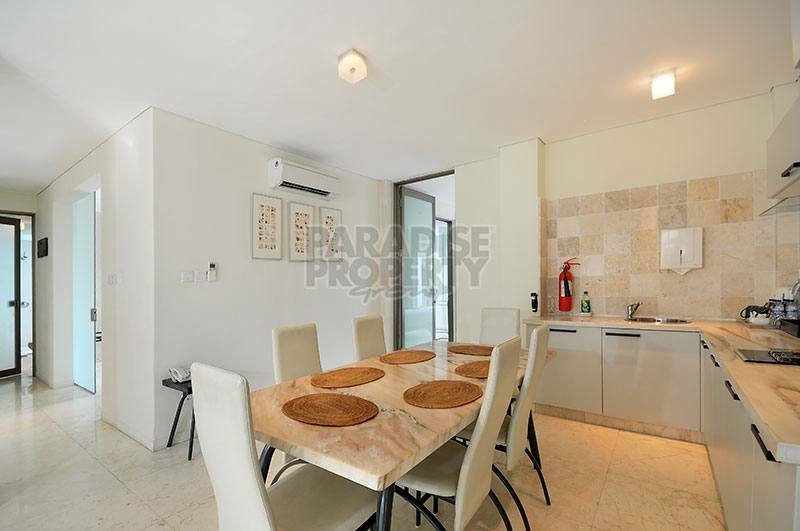 When the apartment is not occupied, the management will arrange, in its sole & absolute discretion, the renting of the apartment. 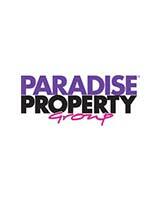 30% of all rental income derived from the apartment is payable by the owner to the manager.